As they look to make a big splash in Canada, Alex and Ani has hired Lotus Leaf Communications as its Canadian agency of record to help introduce and build consumer awareness, and drive sales for the positive energy and lifestyle brand. 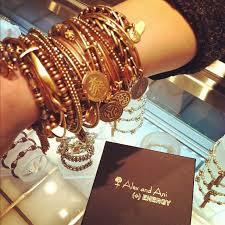 Rhode Island-based Alex and Ani products are designed, manufactured and assembled using recycled local materials. Designer Carolyn Rafaelian, Founder and Creative Director believes in the power of positive energy, which is a core company principle. Alex and Ani named Lotus Leaf Communications its Canadian agency of record following a competitive pitch process and review involving a number of Canadian public relations firms last fall. The agency will be responsible for all Canadian public relations programs in regards to their positive product portfolio, while managing Alex and Ani Canadian social media channels.